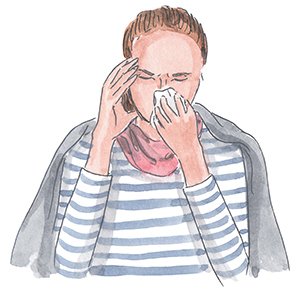 The common cold is a virus, or rather, lots of viruses-over 200, to be more specific. As a virus it is not curable, and since there are so many strains there’s not a way to make a vaccine like there is with the flu. When you catch a cold the virus attaches itself to the mucous membranes of the nose and throat and essentially hijacks the cells that live there, forcing them to replicate more virus cells. It’s all quite sinister really. When your body tries to fight off the virus the symptoms pop up, like coughing, sneezing, a sore throat, general congestion and mild fatigue. Remedies are aimed at easing these symptoms to help keep you comfortable while your stalwart immune system battles the virus away. Many of the home remedies for colds listed below can be altered to fit your preferences (e.g. a different essential oil, more or less spiciness in the decongestant, etc. etc.) There may be some overlap with remedies for a sore throat or a cough, but I try and offer some variety here. 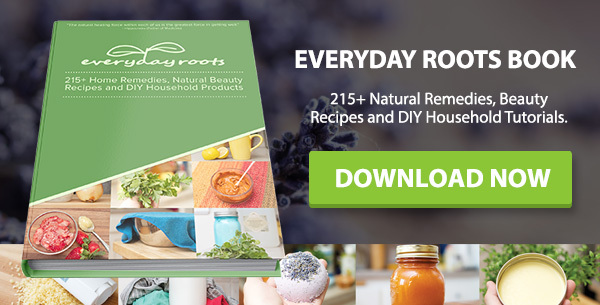 Eventually you’ll have your own go-to remedies and recipes. I love old time home remedies-the ones that we don’t need to question on chemical level, picking apart why they work or why they don’t work. They simply are, just as they have been for generations, and just as they will be for years to come. One of these classic home remedies for colds is comprised of three familiar ingredients-garlic, lemon, and honey. You can combine them in more involved ways if you wish, but this recipe is about as simple as it gets. It’s particularly useful for a cold that is accompanied by a sore throat and a dry cough. This might be a home remedy that you’re tempted to pass over because you don’t recognize the name of the herb. It’s too much of a bother to try and figure out what the heck mullein is and you’d much rather just go for the apple cider vinegar or something you can pull off the spice rack, right? While that is nice, the beauty of the internet is that you can get these herbs and other ingredients without having to hunt down an obscure natural health store somewhere across the state border. Mullein is a biennial (grows every other year) plant that can be found alongside roads in temperate climates, or zones 5-9 in the United States. It is tall, with small yellow flowers and leaves that start out soft and downy. It is an EXCELLENT expectorant, which means it thins out and loosens up phlegm so you can cough it out. This is very helpful if you have a lot of congestion, particularly in the chest. It works very well when combined with other expectorants, such as thyme, which is added here as well. No…not the kind that’s just sugar and water, but truly medicinal healing syrup that is wonderful and tasty and oh-so satisfying to make. Syrups are great for kids as they are much more inclined to take them rather than trying to get them to drink a bitter tea. Syrups are, actually, just a boiled down extra strong medicinal tea with some honey. They are one of my all-time favorite things to make and are easy to take, even when your throat is aching and you have no appetite. This particular syrup includes marshmallow root, licorice root, cinnamon, and ginger. Ok so this syrup isn’t the sweetest of examples, but it is effective! Marshmallow root and licorice root are infamous for helping soothe racking coughs and sore throats, as they are rich in mucilage which provides a soothing coating for the mucous membranes. Cinnamon and ginger help with congestion, flavor, and pain-relief. Mix together the herbs, cinnamon, and ginger and then add it to a saucepan along with 4 cups of cold water. Over low heat simmer the mixture until it has been reduced by half. Strain the herbs and then pour the liquid back into the pot. Over the lowest level of heat stir in the honey and let it sit, bubbling gently, for 10 minutes. Remove from the heat and bottle, being sure to label the date you made the batch on. Take a maximum of 1-2 tablespoons 3 times daily for relief from coughing, sore throat, and congestion. In the refrigerator this will last for 3-4 weeks. DIY inhalers may sound a little…sketchy, but I love them. They’ve saved my tush on more than one occasion when I got bogged down with a bad cold, and they are a fabulous way to utilize essential oils. They also allow you to bring the benefits of your essential oils pretty much everywhere you go. This cold and flu inhaler is perfect when traveling or for use at home. 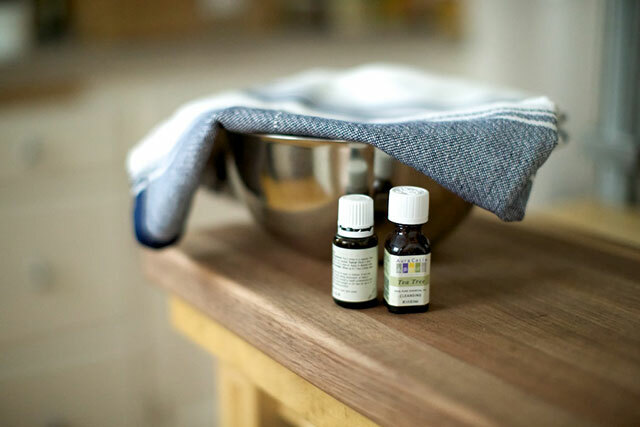 There’s a good recipe for making your own vapor rub here, but this simple blend can be whipped up in a hurry if you’re running short on time, ingredients, or just feel to crummy to do anything else. While I prefer the former recipe, this works well if you just want a little something to use in conjunction with a hot water bottle (see below.) The menthol in the essential oil is what creates the cooling sensation that makes you feel like you can breathe easier, even when you’re all stuffed up. A good old fashioned hot water bottle can help loosen phlegm and really deep congestion in the chest. The gentle steady warmth will loosen up your muscles, and soften up the phlegm to help it come up. It’s a very simple, non-invasive home remedy that is very soothing. If you like, rub a little of the above salve on your chest to increase effectiveness. 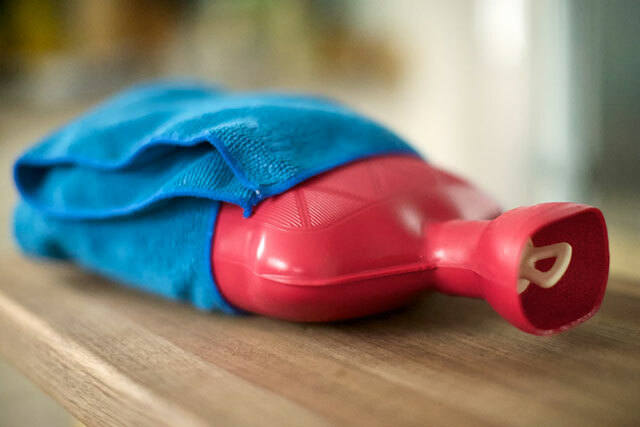 I am very particular about how I fill my hot water bottles-you don’t have to be as meticulous, but I’ll share my favorite method anyways. Start with hot water (it doesn’t have to be steaming hot-whatever your comfort level is really) and fill the bottle half-way. “Burp” it to get the air out, and then continue filling almost to the top, leaving 1-2 inches of space at the top. It shouldn’t be a hot hard lump; it should be a little squishy. This way it rests easily across whatever surface you’re laying it on, and I find it more comfortable. Wrap it in a thin piece of flannel or something similar (I often find towels much too thick) and lay it on your back between your shoulder blades. You can also rest it on your chest if you prefer. Try keeping your head a little propped up if you have a really stuffed up nose. Who knew hot water bottles could be so involved? No, I am not referring to an illicit drug. Making up a blend of scented bath salt is a wonderful way to ease a tired, sick, body and clear up congestion. It’s the perfect thing you need when you’re trying to get over a nasty cold, especially if you happen to be stricken during the frigid winter months. The aromatherapy combined with the relaxing warmth of the bath just can’t be beat! This recipe calls for a simple combination of classic cold-curing essential oils, but you can mix and match and come up with your own personal favorite blend. If you’re someone who can take the heat of hot peppers, munching on one is a temporary way to take out congestion fast. The constituent in peppers that makes them spicy is called capsaicin and, in addition to numerous other benefits, it can help loosen up mucous so you can expel it. Of course there’s also the fact that something about the spiciness just seems to knock it out, natural expectorant abilities or not. To help clear up a sore throat, gargle with a mixture of sage, apple cider vinegar, and salt. The salt, through that magical force we call osmosis, will draw excess fluid out of the tissues in your throat that has been causing uncomfortable swelling. The apple cider vinegar may help to kill off the bug, but even if it doesn’t, it still seems to help with the pain. Sage is a wonderful herb when it comes to colds. It is astringent, which means it will also help draw excess fluid out of tissues, and anti-bacterial. The amount of sage used results in a very concentrated tea-it isn’t the tastiest infusion, but it is good at its job. Place sage leaves at the bottom of a mug and cover with 1 cup of boiling water. Steep for 15 minutes, covered. While the sage steeps, pour 1 cup of apple cider vinegar into your jar and sprinkle in the salt. When fully infused, strain the sage tea and add into the apple cider vinegar. Gargle a mouthful at least 3 times daily for pain relief. Keep in the refrigerator for up to 1 week. Just a plain ‘ol spicy radish will do the trick here. This delightfully crisp, spicy vegetable is both anti-septic and full of vitamins and minerals. While horseradish is the more powerful decongestant, regular garden radish works just as well for some people-especially those who are sensitive to spice. If you find yourself feeling stuffed up, eat a couple of these little gems and you may be pleasantly surprised to find yourself clearing up in no time. 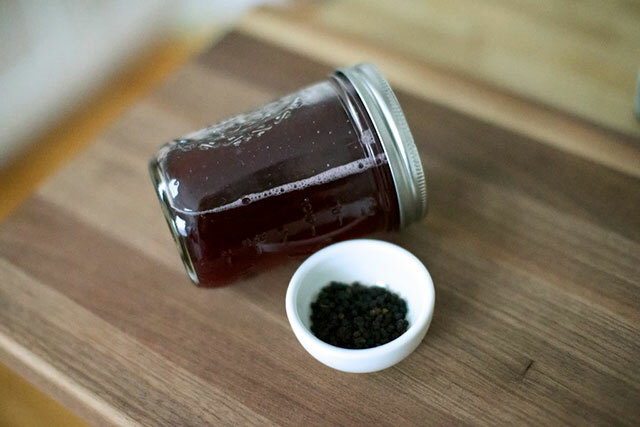 There is a more involved version of elderberry syrup in the Everyday Roots Book that I absolutely love, but sometimes you just need a simple version. Sometimes the list of ingredients and the process can deter people, but it really is a lovely remedy-and delicious to boot. Elderberry is great for anything cold related, as it lessens inflammation of the mucous membranes, allowing you to breathe better and relieving congestion. It can shorten the duration of the cold, and potentially keep your immune system in better shape should another bug try to strike while you’re down. The mucilage constituent may also help with a sore throat that’s been ravaged by coughs or one that’s just downright painful. Be sure to only use what is commonly called black elderberry (Sambucus nigra), as other members of the family can be toxic. Do not eat raw elderberries in any form. Put your berries and water in the saucepan and bring the water to a boil. Reduce the heat and let it simmer for 50 minutes. Strain the liquid through a strainer, making sure to use the back of a spoon the push any extra liquid out of the berries. Add one heaping cup of raw honey to the liquid once it has cooled to roughly room temperature and stir until it is combined thoroughly. Bottle and store in the refrigerator for up to 3 months. Take 1 tablespoon daily to prevent illness for adults and 1 teaspoon daily to children old enough to safely have honey. If you have a cold, take the dosing every 3-4 hours until recovery. Goldenseal grows wild in the damp mountainous regions of North America, where the ground is covered in dead leaves that feed the rich soil it plants its roots in. Native American’s prized goldenseal, and would mix it with bear fat to use as insect repellant, or make it into a lotion of sorts for wounds or even sore eyes. An astringent and antibacterial herb, it is also wonderful at working on the mucous membranes, which are obviously adversely affected when it comes to the common cold. It’s antibacterial, anti-inflammatory, and astringent properties are most likely contributed by its isoqinoline alkaloids (berbine*, canadine, and hydrastine.) In a very broad sense, the isoqinoline simply refers to the structural backbone of the alkaloids, which are nitrogen-based organic compounds found in the plant. Sadly, goldenseal has been extremely over-harvested, so do get yours from a sustainable reputable source. Place the goldenseal in a mug and cover with fresh boiling water. Steep, covered, for 10-15 minutes. Stir in honey and lemon to taste, and drink 2-3 times daily. Acupressure is a wonderful way to relieve discomfort for a number of ailments, and colds are no exceptions. If you are experiencing sinus pressure or discomfort with your cold, there are three main pressure points that you can utilize to relieve the pressure and release congestion. Your sinus cavities are mucosa lined air filled pockets located within the bones of the face and skull. Each one opens into a corresponding nasal meatus (aka, nasal passage.) There is the superior meatus, middle meatus, and inferior meatus. When your sinuses fill up with mucous and become inflamed, not only is breathing obstructed, you will also have a face full of pressure and pain. By triggering the right pressure points, your can open up the blocked sinus cavities and open up your nasal passages, relieving pressure and releasing blocked congestion. B2: B2 is on the bladder meridian, and will affect your frontal sinuses, which are located behind the brow ridges. This point itself is located in the indents of your upper eye sockets, on either side of the bridge of your nose where it meets the ridge of your eyebrows. Rest your index fingers alongside your nose with the tips in the indents, and gradually apply pressure, holding the points for 2-3 minutes. Towards the end, gradually lighten the pressure. Breathe deeply. LI20: LI20, or large intestine 20, will open up and relieve the maxillary sinuses. The maxillary sinuses are the largest, and are typically what you think of when you think of sinus pressure. The point is located underneath your eyes, just beneath the cheekbones. You will find if you press up there will be a little indent that may or may not feel a little tender. A gentle pressure is all that is needed here. Hold the points for 2-3 minutes, gradually increasing the pressure, and lightning it at the end. Breathe deeply. St3: St3, or stomach 3, also relieves the maxillary sinuses. The points are located just a little bit further out and a tad below LI20. You can apply pressure to St3 at the same time as LI20, which can sometimes have a greater effect. Also hold the points for 2-3 minutes, gradually increasing pressure and then decreasing it at the end. Breathe deeply. lightly boil onions, drain and cool enough to tolerate with cheese cloth and place on chest ( for bronchitis ) then a towel over cheesecloth .. really works!!!!!!! Hey! Thanks for all the great ideas! I wish you’d add a neti pot to your list because it works GREAT for me. Are these remedies safe for a pregnant woman? Do not take golden seal if you have high blood pressure. Be sure and check with your Dr before. Herbs and spices can countertact with medications! Recently , just a few days after Thanksgiving 2014 – I awakened to a sore throat , head cold and chest cold all at once . I immediately did what my West Indie ( Antigua ) wife always does and that is mix honey and lemon with some hot green tea . I drank this about 4 to 5 times a day and my entire cold was gone in about 6 days . The reward was so much better than over the counter medicine that usually taste horrid . I also mix Bragg’s Organic Apple Cider Vinegar with Diet Cran-grape juice and drink about 8 0z twice a day now . The Bragg’s Organic Vinegar also lowered my glucose levels . Love your site. It’s hard to find good sites that have real content with meat to them. Love your illustrations too. Do you do them yourself? Keep it up. Thanks! There are a lot of remedies that my parents used when I was a child. The garlic cough medicine and ginger root tea. My problem is Bacterial sinusitis from my cheeks up I have a lot of pressure and headaches all across my upper for-head, above and under my eyes, my inner nostrils and I started to feel pain in my inner ears. I went to my Dr. And he prescribed an antibiotics ,nasal spray,Advil for inflammation and suedofed. My problem is when I take my suedofed it a 24 hr 1 pill daily ( non drowsy). I can’t sleep, I am up all day and all night. I have stayed inthe house because this is my 2nd set back with the same problem. My Dr. Had to give me stronger Antibiotics this time and I must eat with Ll my medication. When I need some sleep after 2 days I will not take the Suedofed but the burning,pain and pressure is hard to handle. For the past 9 days I have had approx. 79 hours of sleep. I keep it written down each day. I have 1 more day of Antibiotics (Augmenton 875mg) twice a day. The only pressure I have is up my nostrils,cheeksand I get a slight headache now and then. The Dr. Told me that it will take some time. It stared in the 1st week of November 2014 with a sore throat to chest congestion then to my sinus pain in my head. I went out for two days bundle up and my sinus pressure got worst. So I had to go back to the Dr. Again. Look for a good chiropractor. I get my neck “cracked” or adjusted once a month during the cold weather months. This relieves pressure on the sinuses in the back of your neck. If I have any sinus pain when I go in its gone when I’m going out the door. This is the best $40. Spent in my book. Sinus pressure used to put me down for a few days…not anymore. sell zinc now, it is that effective. Look it up and read about it if you have reservations. put about 10 heavy shakes of turmeric in it and brown sugar to taste. What I didn’t eat at the time I have been taking in my lunches for snacks. Life hit in the last couple of weeks and I have not been getting my turmeric snacks made up. Needless to say my body was suffering. So I started to feel this cold coming on and decided to do a search for a remedy. 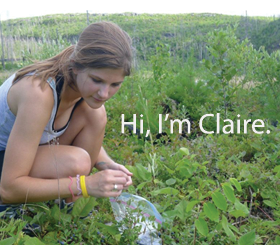 I found Claire’s site and was actually looking for what you, Carol had to say. How do I know the difference between the sambucus nigra and the toxic member of the sambucus family? I’ve been purchasing sambucus and am assuming it is the nigra variety. I would like to make my own syrup. I would be careful with the Honey Onion remedy. Our 70 yr. old Chinese herbalist has said that honey and onion together cause a really bad toxin in the body. He said it has been known to poison people. So I have always steered clear of putting the two together. Just thought I would share that. Our grandparents and Great grandparents used this remedy (honey and onion for colds) ALL THE TIME, with no ill (pun intended) results. FYI: for #15, goldenseal is considered threatened due to over harvesting. You can substitute Oregon Grape for goldenseal in many recipes. I only use goldenseal when ABSOLUTELY necessary, and use Oregon Grape mostly. Look them both up. 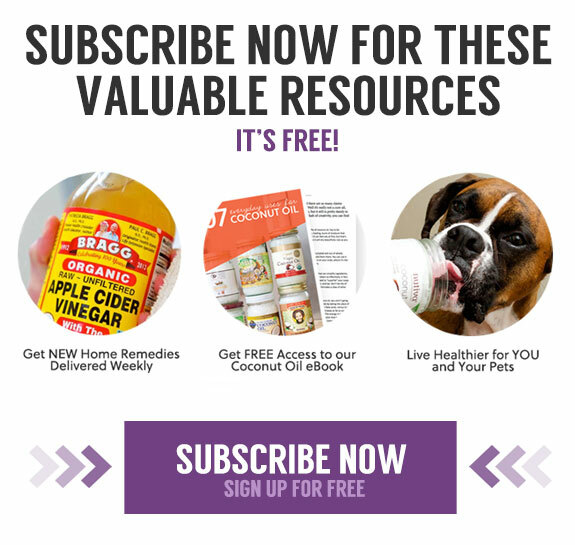 Great site and information … Maybe this doesn’t matter, but is there a particular type of coconut oil that should be used for the chest salve? I have two different kinds – one that is, ‘organic . virgin . cold-pressed . unrefined’. Also one that is ‘organic . refined . expeller-pressed’. Would it matter which one I use? Thanks so much! 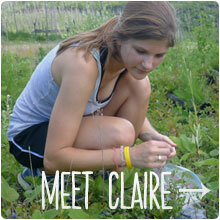 I am allergic to echinacea and lavender, as well as anything else in those families. How can I find a list of herbs that are related to them? I’m concerned about using herbs such as elderberry, goldenseal, eucalyptus, or other herbs that might be in the plant family. I break out in hives from echinacea and found out about lavender (which is in the same family as echinacea) when I used it in the bath. I ended up with allergy-induced asthma! Good ole chicken soup is still the best hot as you can take it – use all natural ingredients! In formal test people got better faster and no one know why – just do it! 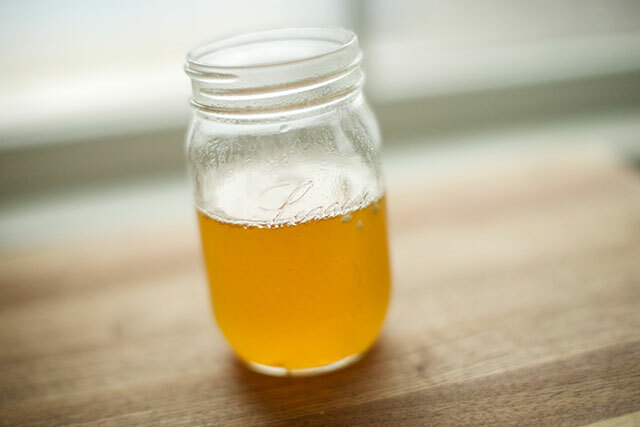 I used to get colds several times a year – until I learned the value of using Cider Vinegar daily. Now, for the last 30 (thirty) years, I have not suffered a cold or sore throat. It’s the complete and perfect remedy, provided you use the Cider Vinegar every day. Just a teaspoonful in a small glass of water twice a day does the job. The CVin seems to kill off the viruses in your system without using any other medication. It has other benefits – cleans out your arteries, etc., and prevents them clogging up. In all those 30 years I haven’t had ‘flu either. CV is cheap; get it from local supermarket/store. One bottle lasts for weeks. My wife uses CV too. So we never need all those remedies to control symptoms. I wish more people would use CV regularly. It would save the country lots of money in lost worktime. And kids would not be off school so often. I am age 78. I would not be without CV. It’s the best preventive medicine you can use. I had no idea you could use radish as a decongestant. I will have to try that next time! 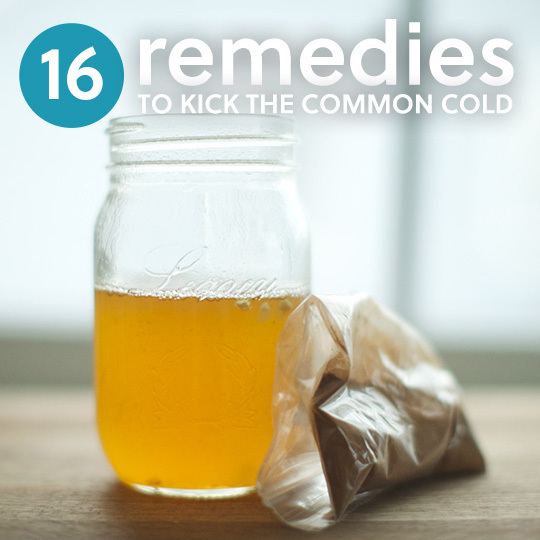 It seems that most cold remedies are complicated beyond what people want to do. I am going to tell you the one I use. This works for me. I cannot promise that it will work for others but if you try it and it works, I hope you will leave a message here. I do not know anyone who has tried this but me. I imagine some have but I have not heard of it. Here it is. 1) Take a washcloth and run ordinary water on it until it is soaked. 2) Wring it out but leave water in it. Wring it so it does not drip on everything and make a mess. 3) The water does not need to be warm. Any temperature is OK.
4) Sit in a chair that you can lean back in. You should be facing up about 45 degrees above horizontal. The angle is not critical. 5) Place the washcloth, spread out over your face. Adjust it so that as you breathe, the air is going through the wet washcloth each time you inhale. Try to breathe through your nose as much as possible. Some mouth breathing is OK, I think. I have not needed to do this in 10 years or so. 6) Stay in that position and continue breathing through the wet washcloth for 45 minutes.. NOTE: Thirty minutes is not long enough. An hour is overkill but it is OK.
7) You should do this as soon as you realize you have or are getting a cold, or as soon as you notice your nose is getting stuffy. It has almost always worked for me with one 45 minute treatment. One time I needed a second treatment the following day. 8) This is not a joke. I am not writing this to cause people to waste time. It does work for me and I hope it will for you. 9) I am not a doctor and this is not medical advice. If you have any medical issues that would or could cause problems for you by doing any of this please consult a doctor first before doing this. 10) If you do experience anything unusual or alarming, please seek medical help immediately. 11) Have a working phone next to you and the phone number for emergency medical help next to the phone.